An abandoned well from the early 1900's spews oil into the Tamarack Swamp. State environmental officials have ordered three companies to plug more than 1,000 abandoned oil and gas wells. Wells in Pennsylvania are considered abandoned when they have been inactive for more than a year. Left unattended, they can pose safety hazards or leak and contribute to greenhouse gas emissions. Operators sometimes stop operating wells for various reasons, such as when a well fails to produce enough oil or gas to make a profit. Companies may choose to turn an inactive well back on again within the year. 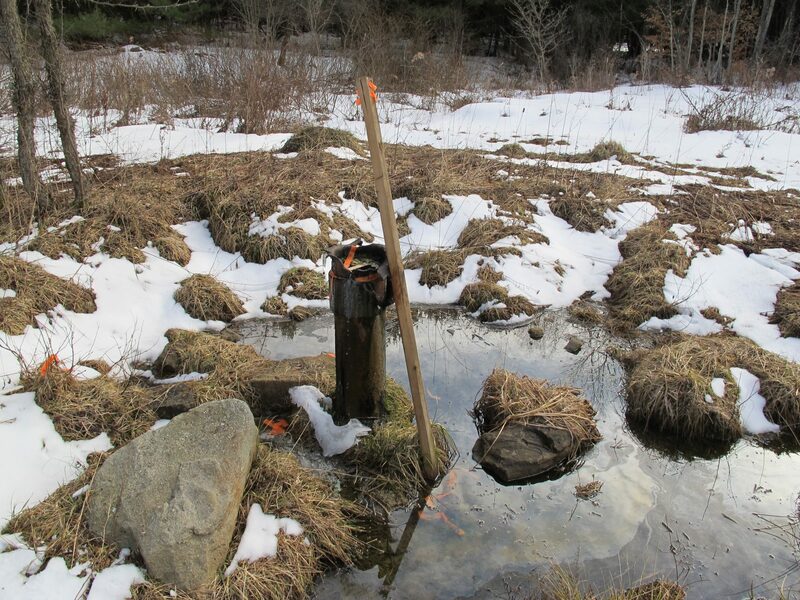 If they don’t, as was the case with the 1,058 wells identified Wednesday by the DEP, the state can order the companies to shut the wells off for good. The state has a long history with abandoned wells, dating back to the start of the oil industry in the 1800s. The department estimates it costs between $10,000 to $100,000 to plug a well. Operators do put up bonds, which is money the state can use to plug a well if a company shirks its responsibility. But those bonds don’t always cover the entire cost. Over the past three decades, DEP has plugged more than 3,000 such wells. Shader said DEP was simultaneously working on orders for the three companies, so it decided to announce them together. The orders cover wells from southwestern Pennsylvania into the northern part of the state. The department flagged Alliance, a subsidiary of Diversified Gas and Oil, with the most abandoned wells at 638. Diversified purchased a number of inactive wells in Pennsylvania this year, and sees potential in turning them back on, according to a statement from the company. “We recently met with the DEP to share our active plugging strategy and, while we were not expecting this order, we are committed to collaborating with the DEP on a mutually agreeable resolution,” the company said. DEP ordered CNX to plug 327 wells. A CNX spokesperson said the company is evaluating the order. The third company, XTO, must plug 93 wells according to DEP. A spokesperson for the company said XTO sold those wells to Alliance in 2017. “We will work with the Pennsylvania DEP, along with Alliance Petroleum Corporation and their successor, to develop an appropriate response,” spokesperson Jerry Eikenberry wrote in an email. The orders give the companies 60 days to respond with a plan for plugging the wells. The operators can choose to appeal to the Environmental Hearing Board.